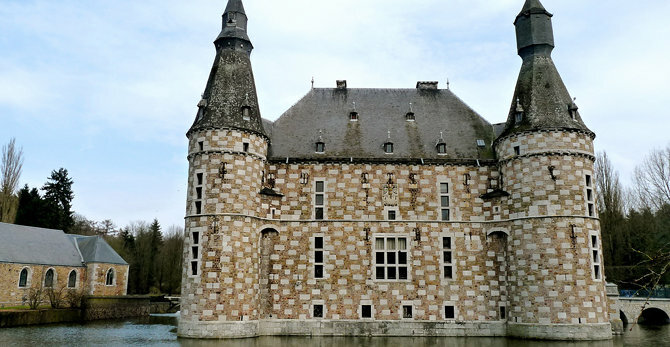 The Castle of Jehay-Bodegnée is situated in the municipality of Amay near Liège in Belgium. Since the end of the 17th-century the castle has been the propriety of the Counts van den Steen de Jehay. 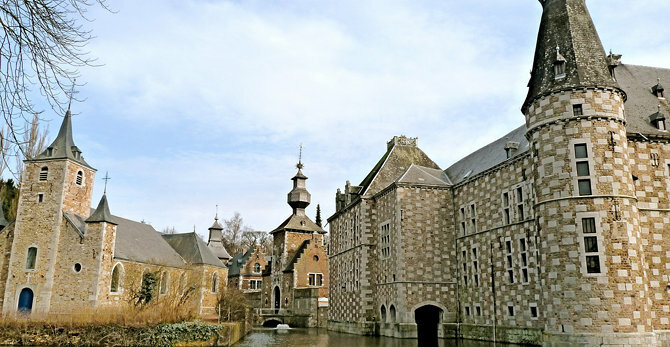 After the decease of the last Count van den Steen in 1999 the castle and its collections were definitively acquired by the province of Liège. Most part of the current château dates from the beginning of the 16th-century. Of its medieval predecessor only some vaulted basements of the former keep, dating from the XIII century, remain. In the 19th-century the castle was extensively renovated and extended by the famous architect Alphonse Balat in a sober Gothic Revival style. The castle still functions as the residence of Count van den Steen. The beautifully decorated interior houses a collection of fine antique furniture, musical instruments, tapestry, paintings and other art objects. The castle is open for visitors a few days a week during summer. From outside, one of the most beautiful castles of Belgium. You must see it, when you visit the Ardennes. Castle of Aigremont is a castle in Belgium. Castle of Fosseroule is a castle in Belgium. Castle of Limont is a castle in Belgium. Castle of Braives is a castle in Belgium. Castle of Chokier is a castle in Belgium. 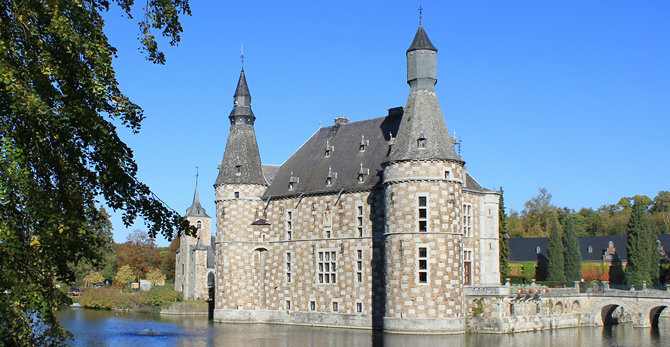 Castle of Fallais is a castle in Belgium.